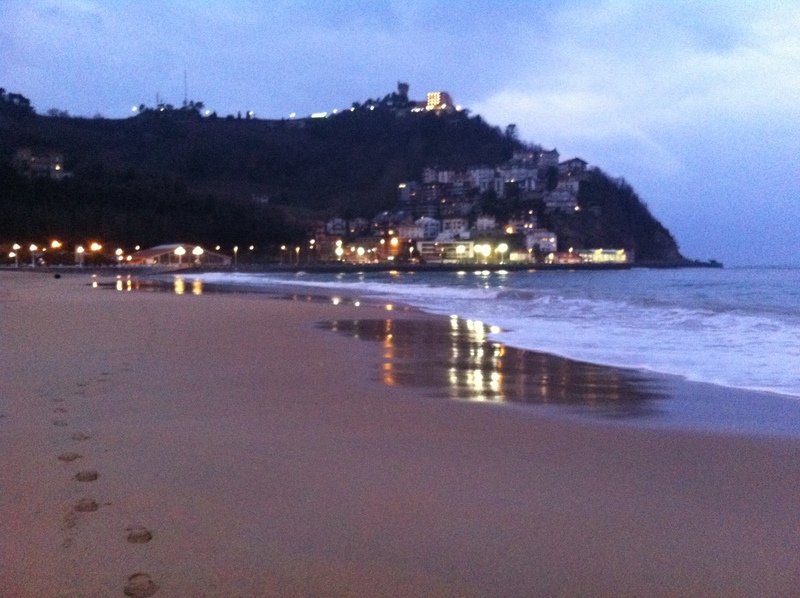 Sunday Evening Run in San Sebastian | eat. write. smile. For a BasqueStage, Sunday is the new Friday. Restaurante Martin Berasategui only serves lunch on Sundays, so I took advantage of my evening off to go for a run in San Sebastian. 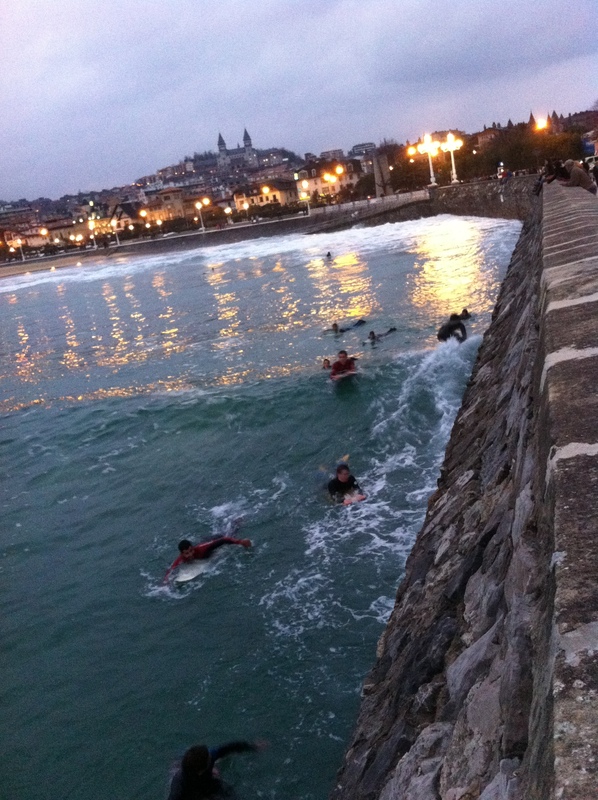 I caught surfers lined up along a stone wall break at the Ondarreta beach. 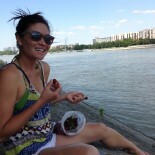 Their stoke even in frigid water made me miss my brother Ben. 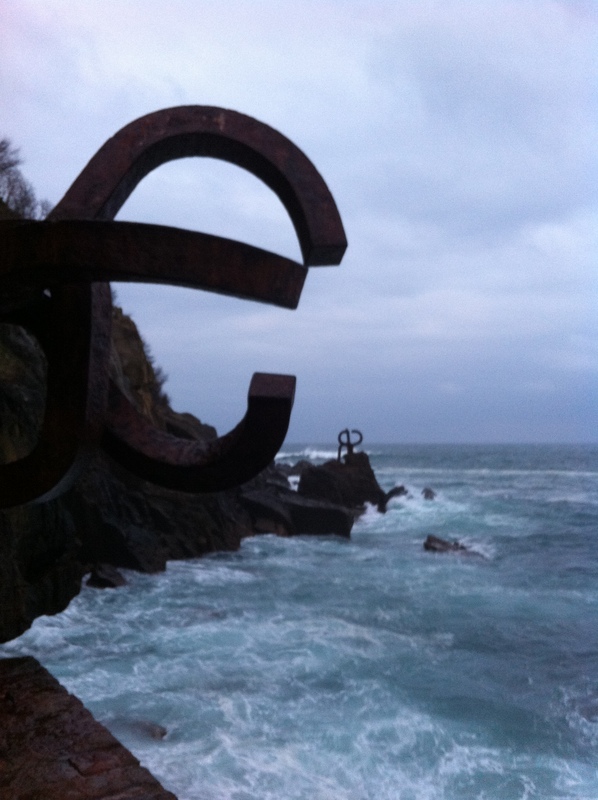 I saw Basque artist Eduardo Chillida’s sculpture The Wind Comb and watched waves break with Isla Santa Clara and Monte Urgull in the distance. I looked back at my own footsteps in the sand, and I said, TGIS. Supongo que SanSebastián es un paraíso culinario entre otras cosas. Y tu siempre abriendo nuevos caminos. 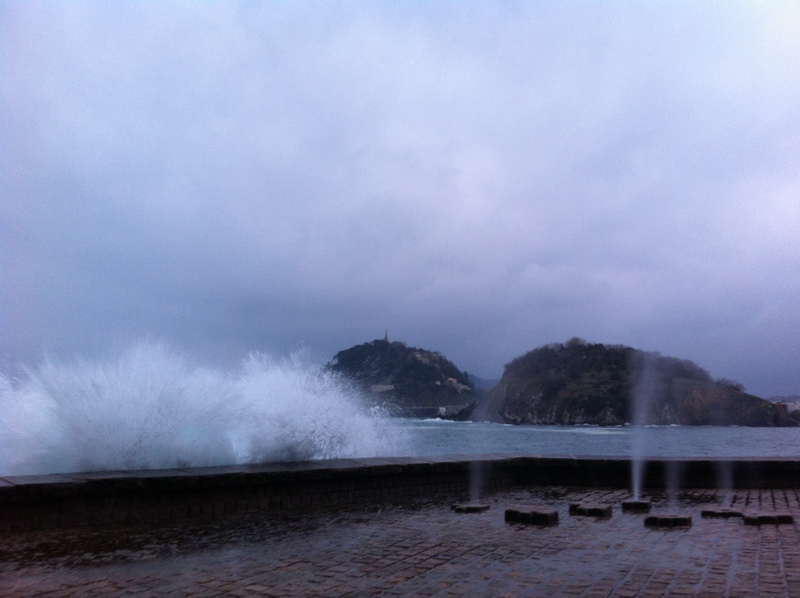 This entry was posted on March 12, 2012 by Ruthie in BasqueStage, Quick Pic, Travel and tagged beach, Running, San Sebastian.